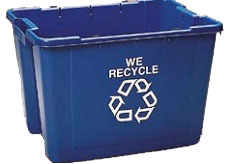 He’d love this: The old blue recycling bins we used are non-recyclable. 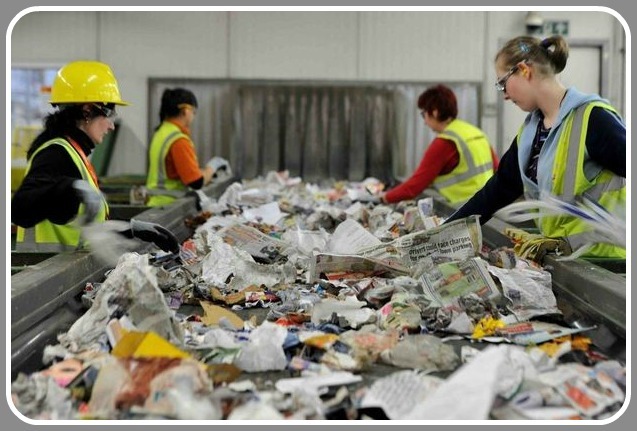 Recently, Westporters celebrated the town’s move to single stream recycling. An alert “06880” reader writes that she loves her new green mini-dumpster. But when she asked officials what to do with the now-obsolete blue crates, she was told they can’t be dumped into the mini-dumpster. Chop them up, she was instructed. Then put them in the garbage. They’ll end up in landfill. 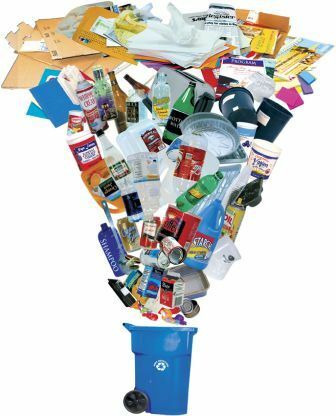 Beyond the ridiculous concept of not recycling recycling bins…have you ever tried to make even a dent in one of those blue bins? Steven Wright would be very, very proud. "We" recycle. But the bin does not.